The Bodystat®1500 has four main cable leads of which each lead has a crocodile/alligator clip. These clips are attached to the exposed tabs on the electrodes. The subject's Gender, Age, Height, Weight and Activity Level (optional) are entered using the three keypads. It works by passing a safe battery generated signal through the body and measuring the impedance at a fixed frequency of 50 kHz. Once the test has been performed a complete body composition analysis is displayed on the LCD screen within three seconds comprising Body Fat, Lean Body Mass, Total Body Water and optimal ranges. Metabolic rates and BMI are also displayed on the LCD screen. PC interface and software optional. PC interface included with software. Note: Unless you want a quick printout without a PC, we recommend purchase of one of the software packages and utilize the PC's software printout. * Check if your PC is Bluetooth capable, if not purchase # 17085-5. Software is not required to operate the Bodystat, but the software generated reports do help clients understand the measurement and help them plan their weight management program. Software runs only on Windows-xp. The Body Manager Program includes more powerful data management features and extended algorithms down to 6 years of age. It is ideal for Health Clubs when a client returns to be tested in order to track their changes in body composition over a period of time. Cardiac Risk Analysis - assessment of health status relating to lifestyle based on the largest study (The Framingham Study) of its kind in the world conducted in Massachusetts, USA. Factors include exercise levels, smoking, blood pressure, family history, etc. The software provides a perfect opportunity to expose the client to "What-if?" scenarios. For example "What if you reduce your smoking from 40 to 10 cigarettes a day?" The screen displays the effects of potential lifestyle changes like this, in a colourful informative way. This provides the subject with an immediate incentive to make the hypothetical improvements real, especially when they get the printed report. 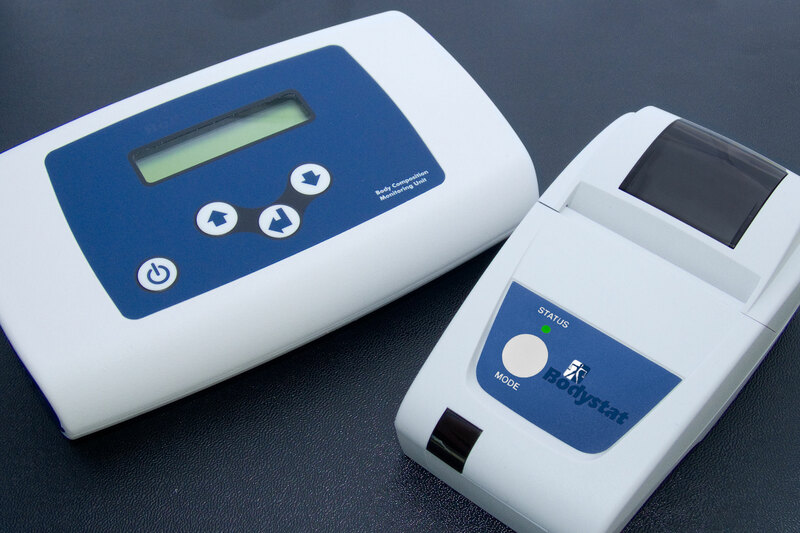 "Having the bodyfat analyzer has helped my clients get a REAL baseline for their starting point. Many have no idea where they are starting from. They are working off a mental picture of themselves from 10 years ago. Some are not ready to face it and they do not have to see the numbers. It is essential because after 3 months of work they want to see results. Yes they may be feeling better, they may see that they are a bit stronger, but if weight loss is their main goal, this will give them empirical evidence of muscle gained and fat lost." "As a nutrition coach I could not effectively guide my clients towards their goals without body composition testing. We all know the scale does not always tell the whole story. Many times the scale is down but lean mass is down and fat mass is up. Other times the scale has not changed but lean mass is up and body fat is down. I would never have known this without a body composition testing. If I would have just relied on the scale my advice would have been wrong." 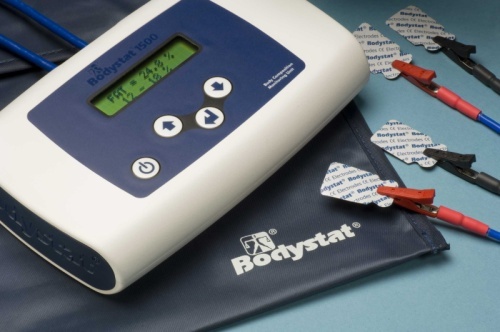 We have been using the Bodystat 1500 for a few years now. It has helped us increase the level of service we give each client as well as raise the level of accountability of each client. Within minutes we are able to tell each client how our training is benefiting them. It provides us with an easy to explain and easy to use means of bodyfat analysis. "Bodystat has been very advantageous as a marketing/promotional tool, providing a value-added service to sell on to new or existing customers. As a result, I am convinced Bodystat is invaluable as a product in any wellness, fitness or health environment"
"People, generally, are obsessed with their ideal weight and for most people the standard height/weight charts cannot assess the ideal weight of an individual. This is where the Bodystat machine comes into it's own. Our Bodystat machine has given us an excellent source of secondary income and provided us with a tempting bonus for renewals." "We received our Bodystat1500 machine only a couple of weeks ago and have found it an excellent monitoring tool already. We are using it already on a daily basis and so need more disposable electrodes."